The role of the Office of Communications/Social Media is to spread the Good News of Jesus Christ, according to the teachings of the Roman Catholic Church, advance the overall message of Most Rev. John C. Wester, Archbishop of Santa Fe, and to serve as the information outlet for communicating the mission and news of the Archdiocese of Santa Fe to local, national and international audiences. Responsibilities also include the publication of the Archdiocesan magazine People of God, the archdiocesan website, social media, photography and graphic design. Under the leadership of Archbishop John C. Wester, the Office of Communications/Social Media maintains a proactive approach in responding to all media inquiries. The Archdiocesan Office of Communications/Social Media, under the direction of Mrs. Celine Baca Radigan, is contacted regularly by local and national secular as well as Catholic media (newspapers, magazines, radio, television stations, cable channels and internet bloggers) for comment on topical moral, ideological and social issues. Responses to inquiries as well as other communications are based on an educational philosophy which provides media with background statements to help journalists understand the complexities of theological statements. The Archdiocese of Santa Fe has a formidable presence in the communications media arena. 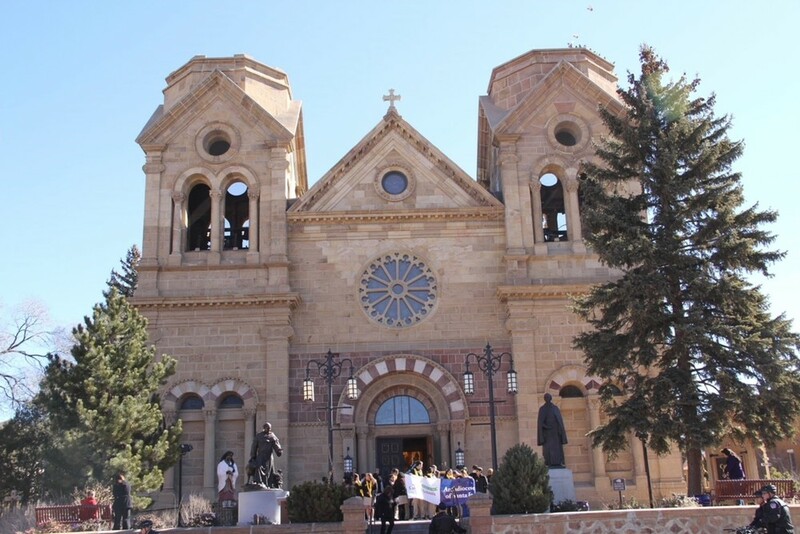 Based on the 400+ year historical presence of the church in New Mexico, the strong faith and steady growth of the Catholic population, church communications are in high demand; thus, the archdiocese retains its high profile. Our goal is to separate opinions from fact and to do it in a manner that is respectful of all. Press - Manages, prepares and coordinates print, broadcast and televised media relations for the Archdiocese of Santa Fe, including statements from Archbishop John C. Wester, and the wider church via press releases, statements, and media advisories. Public Relations - Serves as information liaison for the Archdiocese of Santa Fe by responding to inquiries submitted by the broader community. Serves as media consultant to parishes and schools. Archdiocesan Magazine People of God – Directs and produces editorial, reporting, layout, design, photography, publishing, advertising, and circulation. Official Archdiocesan Website - Designs & maintains the official website for the Archdiocese of Santa Fe. The archdiocesan website and social communications’ philosophy is founded on education, which is critical at this time due to the explosive shift of the Internet in which users are augmenting news and facts with their own interpretations. Photography– Provides photography for People of God, Catholic News Service, secular media, archdiocesan and parish communities. Creates and produces videos, animated slideshows of archdiocesan and parish functions for the archdiocesan website. Graphic Design – Creates and produces materials for Archbishop John C. Wester&apos;s messages, archdiocesan events and marketing, e.g. billboards, prayer cards, brochures. Thank you for visiting this website which is designed to help you stay connected to your Catholic faith!